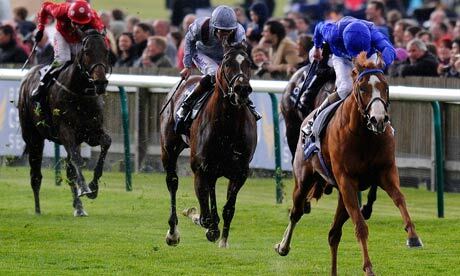 The first Classic of the season, the 2,000 Guineas, run over the Rowley Mile at Newmarket on 30th April, takes centre stage on Saturday. Four favourites have won the race in the last 10 years, but winners at 40/1, 33/1 and 25/1 in that period give us at least a glimmer of hope of finding one or two that have a realistic chance of beating this year’s hot favourite, Air Force Blue. First Selection (80/1) took a keen hold when only sixth of nine, beaten 8½ lengths, behind Pure Diamond in a Listed race at Meydan last month, but has a squeak on the pick of his juvenile form. 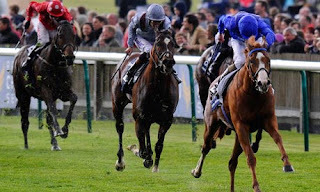 The Diktat colt was far from disgraced when fifth of 11, beaten just 1¾ lengths, behind the unbeaten Ultra in the Prix Jean-Luc Lagardere, over a mile, at Longchamp last October and, although more exposed than some of his rivals, can be expected to make further progress, especially if the first-time hood has the desired effect. Herald The Dawn (33/1) also pulled hard when finishing 1½ lengths behind First Selection in the Prix Jean-Luc Lagardere on his first attempt over a mile and, while he has 3 lengths to find with Air Force Blue on their running in the National Stakes, over 7 furlongs, at the Curragh last September, his chance may not be as forlorn as his odds suggest. By New Approach, like Jim Bolger’s only previous 2,000 Guineas winner Dawn Approach, Herald The Dawn has reportedly thrived over the winter and the fact that his trainer has decided against a preparatory race suggests he could go well at a big price. Frankly, it’s hard to see anything else that falls into the ‘outsider’ category troubling Air Force Blue, if Aidan O’Brien’s charge is anywhere near his best, so we’ll stick with two against the field this week. Good luck!